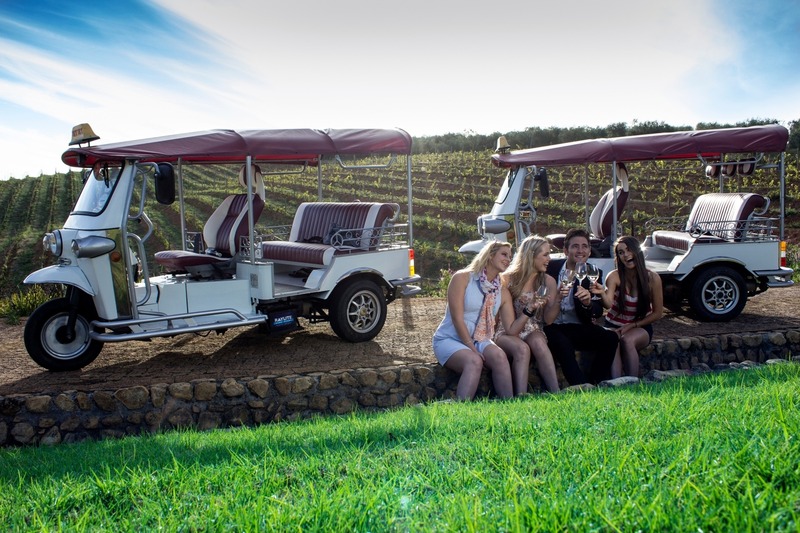 Tuk Tuk Fun, fun, fun - enjoy your wine tasting with a Tuk Tuk! 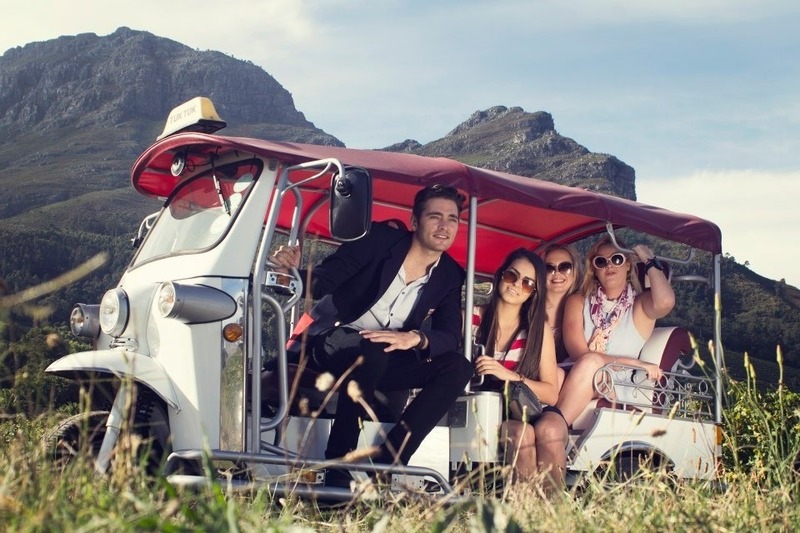 You want to get to know the Stellenbosch winelands and its extraordinary wine farms in a special and fun way? Then we have just the right offer for you! 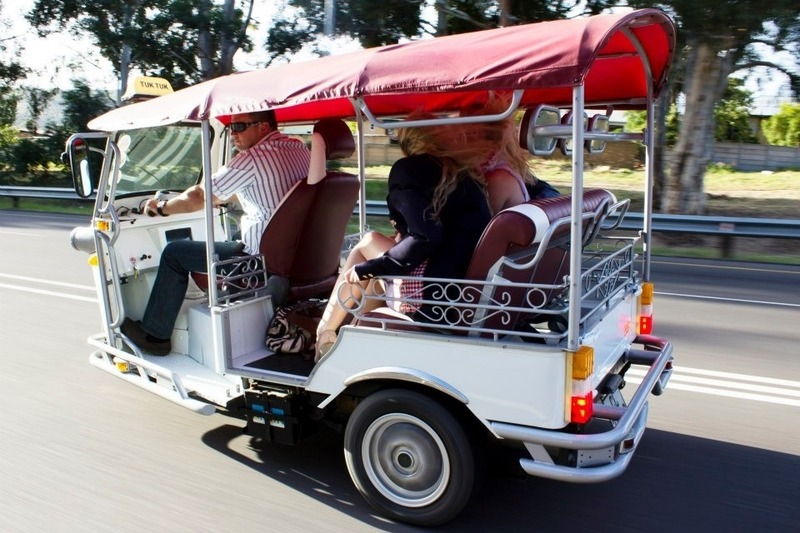 Discover one of the world´s most prestigious wine regions during a half or full day Tuk Tuk tour. 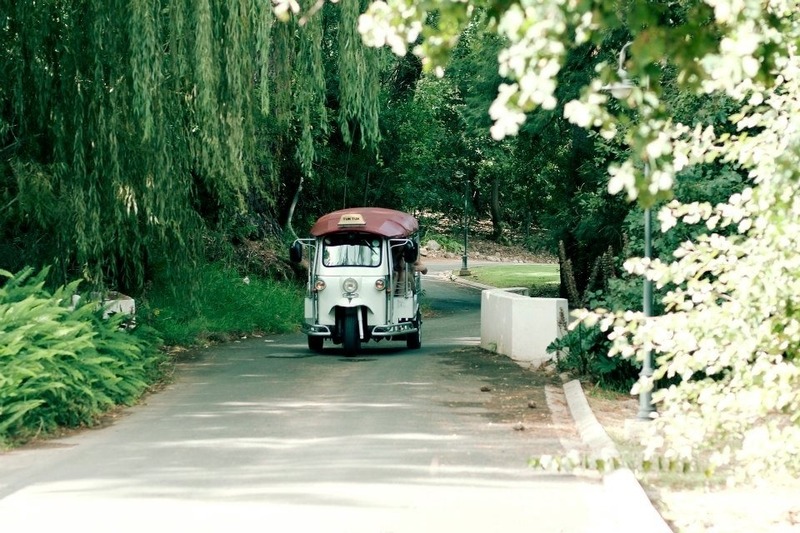 The Tuk Tuk or better said your guide will either take you to three (half day) or five (full day) different wineries around Stellenbosch. The full day tour even includes a lunch and generally starts at 10 am and ends at 4 pm. The half day tour starts at 10 am as well and takes you back to Cultivar Guest Lodge around 1 pm. 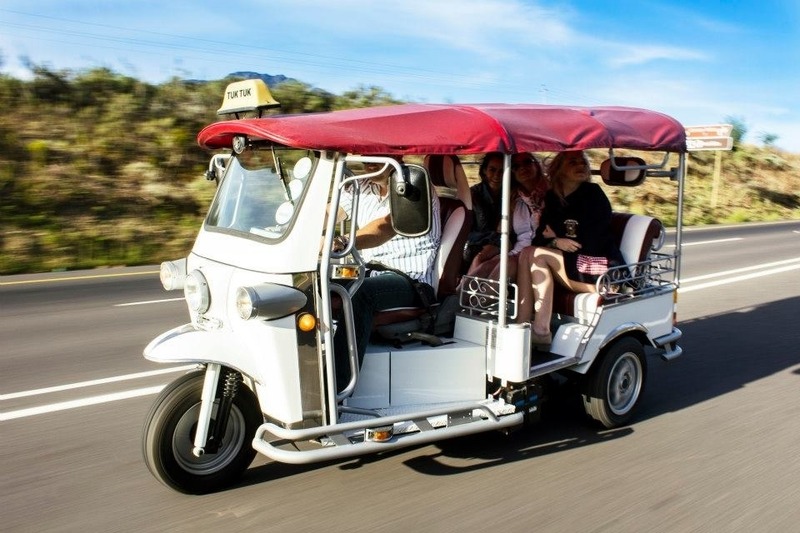 Riding on a Tuk Tuk is a lot of fun and you have the chance to enjoy the wonderful South African weather instead of having to drive yourself or to sit in an air-conditioned vehicle. 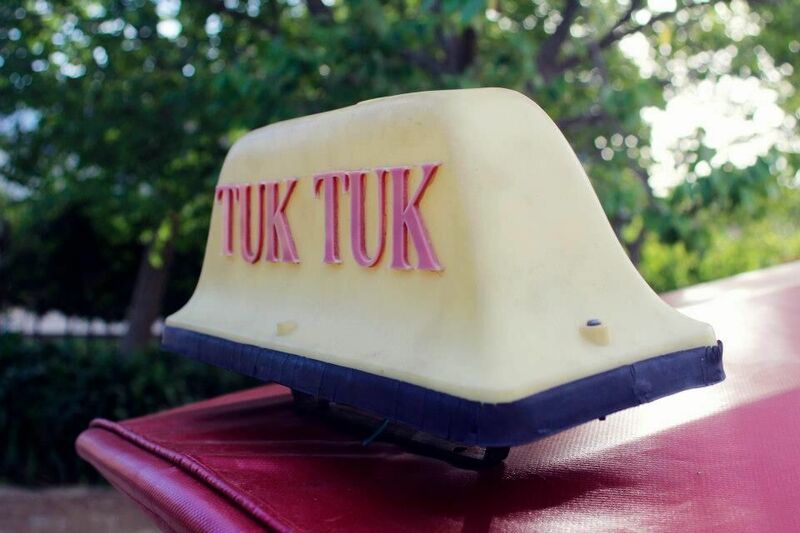 The Tuk Tuk are very popular and often booked for days in advance. We will do our very best to reserve your spot at short notice but it is definitely safer to let us know even before arrival and we are more than happy to take care of your booking!